Theo Rekkers (born April 24, 1924) and Huub Kok (born February 10, 1918) formed the Spelbrekers in 1945. They met in a German arms factory where they were performing forced labour in 1943. They had their first hit in 1956 with 'Oh wat ben je mooi' ('Oh how beautiful you are'). In 1962, they represented the Netherlands during the Eurovision Song Contest with 'Katinka'. They ended up in joint last place, failing to score any points. This result was partly to blame on a bad broadcast: during their performance the image on television went almost entirely black, causing the two to look almost like criminals. 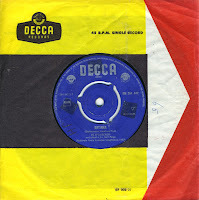 Still, in their homeland they reached number 9 in the charts in May 1962.